It was 2 a.m., and Hatice Cengiz anxiously paced the Turkish street outside the Saudi Arabian consulate. She wondered where her fiancé, Jamal Khashoggi, could possibly be. Hours ago, he had told her to wait for him outside. He then entered the building to receive the documents they needed to get married, but he never returned. Khashoggi, a former editor of a Saudi newspaper, contributor to The Washington Post, and critic of the Saudi monarchy, was declared murdered on Monday, Oct. 8. Saudi Arabia, at first, claimed that it had no idea about the disappearance and death of Khashoggi, but the Saudi attorney general recently stated that the attack on Khashoggi was undoubtedly “premeditated.” Turkish officials claim to have seen video tapes of the brutal, merciless murder itself. Saudi Arabia is now under scrutiny and accused of attempting to cover up the crime. The murder of journalists is nothing new. In fact, it happens all the time in places like Russia (the KGB has a particular reputation for this), Afghanistan, Syria, and Iraq. According to the Committee to Protect Journalists, 1,324 journalists were murdered between 1992 and 2018. So why is America so invested in this specific murder if it is, at least historically, nothing new? The answer is quite complicated. 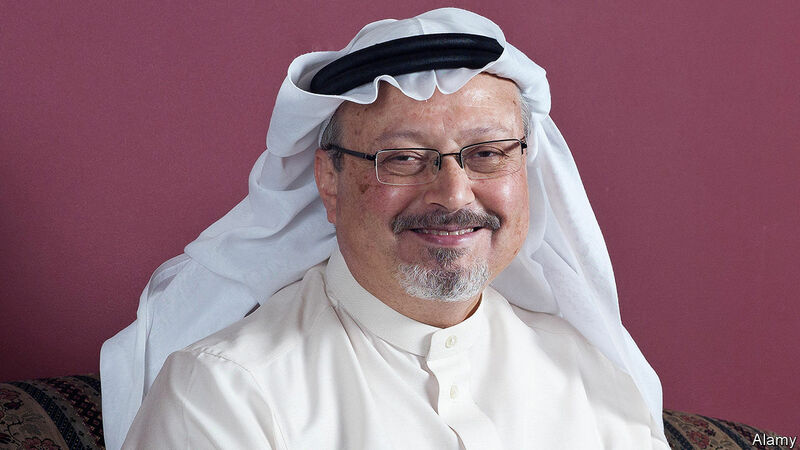 One may argue that, since the journalist criticized the Saudi regime in The Washington Post and a permanent resident of the U.S., our country should feel a certain obligation to him; he publically stood up for democracy and rejected tyranny, after all. His death must be avenged in order to protect the consciousness of humanity. However, this is a generous interpretation of America’s interest in the murder. Realistically, the U.S. is self-concerned. The incident caused a conflict between Turkey and Saudi Arabia, two of our most prominent allies, and the consequences will, more likely than not, affect American economics. For instance, if Saudi Arabia is somehow condemned by Turkey’s investigators, America may lose its hold on Saudi oil. Gas prices across all states will skyrocket as supply will not meet demand, and America will no longer be connected to Saudi wealth or to its crucial Middle Eastern location. I think it will be unlikely that America detaches itself from Saudi Arabia. Donald Trump has praised Crown Prince Mohammed bin Salman for his reformist, egalitarian-leaning actions: he has opened movie theatres and has, at least in theory, made it legal for women to drive. America is inclined, then, to defend Saudi Arabia in scandals as a means to fortify western democracy in the Middle East and to ensure its economic opportunities. That said, if it is discovered that the Crown Prince has played any role in the murder, American citizens should recognize this giant red flag. Is ensuring that our hands are in the Saudi oil tank worth letting the country murder its dissidents? This is a moral debate that must be discussed in Washington when or if the time comes. America must tiptoe when it comes to the investigation of the death of Khashoggi. Although we have an obligation to stand up for justice, it is undeniable that we are entangled with these Middle Eastern countries and must tread carefully. Any misstep will lead to far-reaching consequences.